Online reputation management is building optimized web pages, which are filled with positive news about the person or company. The goal that we would like to achieve with these positive pages is to obtain a higher position in the search results than the negative pages. These results are that people who search your name or company will find the positive results faster than the negative results, so the older negative pages will do less damage to your reputation. Reputation management is also called search engine reputation management. When customers a�?Googlea�� your name, the first thing they will see is a page with positive content. So we will create a better online image for you or your company. There are many new forums and customer organisations these days. People, who are not satisfied by your services, can easily let it know trough social media. This will do harm to your name and the name of your company. Other potential customers can pick up these negative messages and reconsider if they still want to use your services. This will lower your conversion percentages. Most of your image will be created online, by your customers and by yourself. It is important to have many positive pages in the search results from Google. 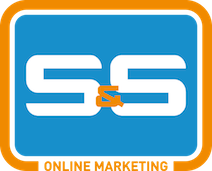 S&S Online Marketing is specialized in search engine reputation management. Are you also interested in a better online reputation and a higher conversion percentage? Feel free to contact us trough the contact form or call to +31 36 30 300 61.